Includes free wifi, free washer and dryer, flat screen TV, all linens and towels, all kitchen supplies, Weber BBQ grill and fire pit. We recently received the Bring Fido award for being one of the top pet friendly accommodations in the country.. Make Seahorse Beach Bungalows your home away from home. Please call us and ask about the various specials we have for Military, Seniors, Surfers and More. The Wolff Family loves the beach ! We welcome guests from all over the world to stay at the Seahorse Beach Bungalow.We purchased the property in 2003 and the hurricanes of 2004 and 2005 destroyed the buildings. After many years we rebuilt and reopened in 2008.Everyone loves the Key West tropical design with the new construction. We purchased the property because of the close proximity to the beach and the Intracoastal waterway. The wildlife is amazing! The best part about staying at the property is that it all your stress disapears instantly. It is amazing must be the sea air. The beach is part of Ft. Pierce Inlet State Park with amazing surfing. There are 21 miles of pristine beach. The water is turquoise blue and the sand is soft,and clean. The beach is not crowded. The intracoastal waterway is walking distance to the bungalows. There are many marinas close by. Boating, kayaking ,fishing and diving are area attractions. The most beautiful uncrowded beach is steps away. The waves are excellent for surfers. The most beautiful uncrowded ocean is just steps away. The waves are excellent for surfers. Our ocean is part of Ft. Pierce Inlet State Park famous among the surfers. There is only AC . There is no heat yet portable heating devices are available upon request..
Portable heaters are provided at guests request, although rarely needed. All linens and bedspreads are provided. There is a laundry center which is free for our guests. Ironing board and iron are also provided. Extra hair dryers are in the laundry center. The clothes dryer is free and in the laundry center . The guests enjoy the fire pit in the tropical courtyard . The parking is free and there is no assigned spaces . Guests can park where they wish. There is secured WIFI for the guests that is password protected. Bathroom towels and beach towels are provided. The WIFI is in the bungalow and on the property outside . There is a couch or love seat in the cottage and a flat screen tv with Direct tv. The coffee maker is like a Mr. Coffee drip appliance. Upon arrival we supply a starter kit of paper towels , dish soap, hand soap, toilet paper , and coffee. It is the responsibility of the guest to replenish items after the use the starter kit. There is a dining table that seats 2 in the bungalow. There are dining tables that seat up to six people in the courtyard. There are also 2 Weber BBQ grills for the guests. The tv service is DirectTV with many channels to choose from. There is a library in the laundry center for the guests. Kayaking is a popular sport here and kayaks and canoes are available for tours and to rent. Boat excursions can be booked or you may rent a boat nearby. Many guests bring their own boats or jet skis on a trailer . The boat ramp is down the street. There is an oceanfront tennis court just down the street in Pepper Park which is next to the Navy Seal Museum. There are many public golf courses in the area. Many offer Senior Discounts. Very nice quiet, private location. Perfect size for our stay! The room was really cute and convenient, it suited our needs perfectly. Management was super friendly, communicative and helpful. Only minor complaints was the hardness of the mattress and the musty smell upon arrival - probably due to the proximity of the water. My husband and I found the bungalow and property exact;y as we were told. Quiet, peaceful. The bungalow was clean, bright and well furnished. Only problem was the bed. Unfortunately the mattress was so "firm" it was like sleeping on a concrete slab. We will be going back again when we need a lovely place to just relax. Small quiet location for a peaceful getaway. Seahorse Bungalows were exactly what we expected. Clean, Comfortable room in a very peaceful location. The staff is very accomodating to all needs. Loved the bungalow. Very quiet and close to the beach! Very nice property. Beach was within walking distance and beautiful. Beach was within walking distance and beautiful. Our room was nicely decorated and clean. Nice, quiet location. 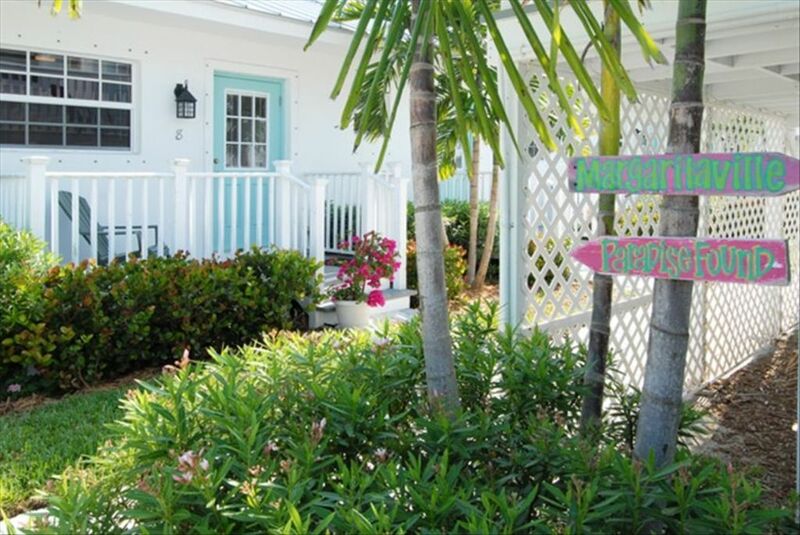 Seahorse Beach Bungalows is located on N. Hutchinson Island. We are surrounded by water, wildlife and State Parks. Life centers around the uncrowded beach, ocean and bay. Fishing and boating are very popular. This is a kayak enthusiasts dream with all the coves and inlets. Surfing at Inlet State Park is one of the best surfing beaches on the East Coast. The historical Village of Ft. Pierce on the water has many wonderful restaurants and entertainment. There is 21 miles of pristine beach.
. Guest required to have credit card on file . Guests responsible for any loss or damage to owners property or their own property by people or pets. Pets subject to approval $10 daily with $150.00 max. fee monthly. Pet Policy. is agreed to upon making a reservation. Seniors age 65 or older and Military get a 10% discount off the rate. Please tell us when making a reservation. Photo ID required. There is no daily housekeeping. There is a 1 time $45 departure clean fee if you stay a month or more. Housekeeping available for $15 hr.Monthly reservations may be limited in number. $15 daily for each person over 16 yrs.in rooms with pull out couches. Room substitutions may be necessary at times. . Pets must be adorable , friendly , and non barkers . No weight restrictions just some breed restrictions . Please call for approval . Dogs and cats welcome . call 772-321-5879and tell us what kind of pet you have. After booking with Homeaway the pet fee and the housekeeping fee and any Senior or Military Discounts will be adjusted accordingly. The guests card will be charged or refunded at time of check in .